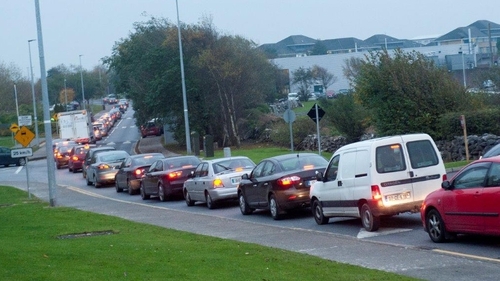 The Cabinet has approved proposals for a bypass project in Galway city. The decision clears the way for the local authority to proceed to the planning phase for the multi-million euro plan. A public consultation on the preferred route for the bypass is expected to get under way in the coming weeks. That will be followed by an application to An Bord Pleanála for formal approval as the road is deemed to be strategic infrastructure. Such applications are made directly to the planning board and it is anticipated that an oral hearing will be held in 2019. The preferred corridor was chosen from a number of routes that were made public in recent years. Supporters of the bypass say it is urgently needed to alleviate severe traffic congestion in the city. Galway City Council will submit the strategic infrastructure application to An Bord Pleanalá later this month. The proposed 18km route runs from the east side of the city to a location close to the village of Bearna. Around 40 properties along the so-called preferred corridor will be subject to compulsory purchase orders, should the road be approved. The ring road would commence with a new interchange at the end of the M6 and involve a section of tunnel on the approach to Galway Racecourse. The road would then continue westwards towards the Corrib, with a second section of tunnel en route, before crossing the river on a new bridge. Planners hope to traverse lands at NUI Galway on a viaduct before veering towards the Bushy Park area. A previous effort to construct a by-pass was abandoned in 2013, after rulings that it would have environmental implications. Galway County Council says the planned road would take a significant volume of traffic out of the city and allow for an enhanced bus network on existing roads. Minister for Transport Shane Ross has welcomed the decision, saying the purpose of the scheme is to reduce traffic congestion in the city and provide direct access from the new motorway to employment centres at Parkmore and Ballybrit. In a statement Mr Ross also said the scheme will "provide an additional bridge crossing of the River Corrib and improve connectivity with the west of the city and to Connemara." The proposed route comprises of 12 km of dual carriageway between the existing N6 at Coolagh to the existing Ballymoneen Road, and continue as a single lane road for a further 6km to the coast road, west of Bearna.